Beirut Club defeated Moutahed to advance into the semifinal stage. American guard Chris Crawford (193-92, college: Memphis) orchestrated the victory by scoring 29 points, 7 rebounds and 8 assists. 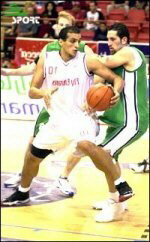 Georgian power forward Nikoloz Tskitishvili (213-83, agency: Interperformances) contributed with 19 points and 5 rebounds for the winners. 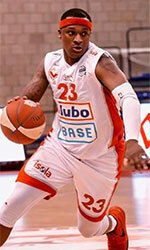 American point guard Marvelle Harris (196-93, college: Fresno St., agency: Slash Sports) answered with 30 points and guard Jimmy Salem (190-95) added 14 points and 8 rebounds in the effort for Al Moutahed.